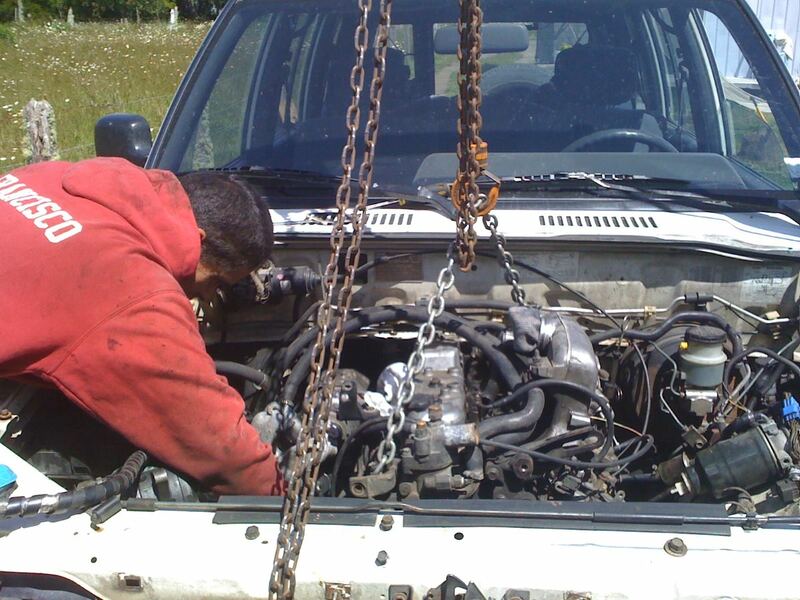 There are so many options when it comes to 4x4 engine modifications. Some will increase power, some will improve the vehicle's fuel economy and other modifications do both. It all comes down to what type of driving and requirements you have of the vehicle. The diesel engine is the most common 4 wheel drive; the reason for this is that 4WDs are used widely by farmers in Australia and in some remote areas there is no petrol available. What a diesel powered vehicle lacks in acceleration/take off speed and power, it makes up for in range and torque. For towing diesels are better. Diesel burns slower than petrol and this is why it generates more torque at lower rpm. See Eric McGrew's interesting write up about old diesel motors HERE. A diesel 4x4 has an advantage when it comes to hill climbs, hill descents, rock crawling and anything that requires low speed. This is because the engine can idle at lower rpm than the petrol engine. Some of the newer diesel 4x4’s are nearly impossible to stall. The petrol engine is an option in most 4 wheel drive make and models. Petrol is available in most areas with the exception of farms, working stations and some very remote areas. Petrol powered 4WD’s tend to drink more fuel than the diesel; this is mainly because petrol burns faster than diesel. A faster burning fuel allows the vehicle to gain more power and accelerate to high speeds way quicker than the diesel. A petrol engine size of 3.6l V6 or higher will tow anything with no problems but it does have a poorer fuel economy compared to a diesel. Off road a petrol engine has an advantage when it comes to sand tracks, beaches, sand dunes and mud runs. The reason for that is acceleration, sand driving is a combination of speed and momentum and mud is all about spinning those mud terrain tyres in order to flick the mud from the tread blocks. What the petrol engine does lack however is the low end torque so stalling is common, if driven correctly this is no real problem. If driving an older petrol engine (carburetor engine) take good care not to stall on steep hills as the engine will not be able to receive fuel from the carburetor due to gravity working against the flow. Performance chips, Exhaust Systems, Turbo chargers & LPG injection to Diesel. Performance chips, Exhaust Systems, Super chargers & Sprint Booster. Leave 4x4 Engine And Go To 4 Wheeling In Western Australia Home Page.